CLOCK UNWOUND: New album from the Norwegian prog rock collective Gentle Knife. Release: June 15 2017. 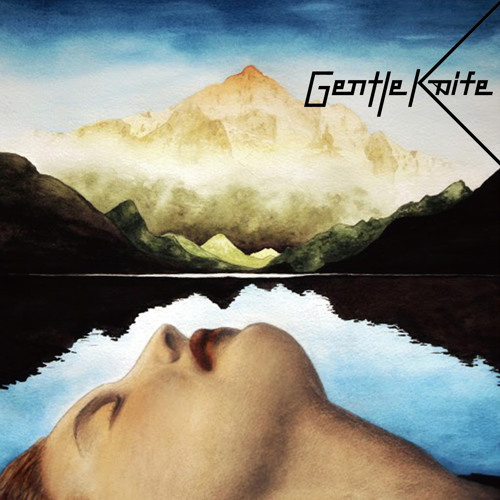 Gentle Knife is a Norwegian progressive rock ensemble featuring eleven members. With male and female vocalists, multiple guitarists, keys, synths, mellotron, woodwinds and more, their signature sound dips deeply into classic 70s prog, resurfacing with a modern take on the genre. Gentle Knife's self-titled conceptual debut album takes you from the clamor of the big city, into an alluring forest. The journey is supposed to renew your energy, but somewhere deep in the forest, you are drawn away from the path, and into the unknown. The album has attracted considerable interest worldwide on websites, in Facebook-groups, music magazines and on radio shows specializing in progressive rock. The relentless passage of time is the main theme of their latest outing, "Clock Unwound". It delves into lives overshadowed by longing and disappointment. Plans go askew, lovers betray and dreams fade. Yet, as a sense of resignation descends upon a dystopic inner landscape, moments of beauty remain. Songs are epic in format, and play across a broad spectrum of emotions.